Let's say you're walking along in the woods and you spot a beautiful little bird nest up in a tree. What type of bird made that nest? Would you know how to find out? 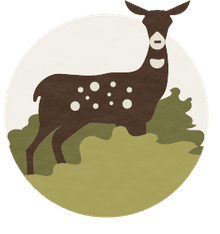 There are actually a number of clues you can use to identify the nest based on where you are, where in the environment the nest is located, and what it is made out of. Here's what to look for when identifying a bird's nest. The type of bird nests that you may encounter will vary based on where exactly you are. A field guide to birds can help you a better idea of the types of breeding birds that may be found in your area. The type of ecosystem you are in can also help you narrow down your selection. Are you near the water? The nest may belong to a duck or shorebird. Near a barn? It could be an owl. If you're in the woods it may belong to a songbird. Is it early spring or late summer? This could make a big difference in the number and types of birds that are nesting in your area. Migratory birds tend to have distinct seasons for breeding and wintering, whereas resident birds live in the same area year-round. Thus, if you are seeing a nest in the early spring, it likely belongs to a year-round resident of the area. Active nests found in the late spring or early summer are more often those of migratory birds. Use this information while searching your field guide to help you narrow down your avian choices. Is the nest on the ground? (It could be a shorebird, gull, tern, nighthawk, or vulture.) Is it on a platform? (Robin, blue jay, osprey, falcon, pigeon, or hawk.) Is it on a building? (Robin, pigeon, or swallow.) Taking note of where exactly the bird has made its nest will help you track down what type of bird is using it. What Does the Nest Look Like? Identifying the type of nest you are looking at will help you get a better idea of the bird that made it. Is the nest cup-shaped? Is it flat? Does it look like a cavity? Use the photos found in our post on Types of Birds Nests to help you learn how to identify a bird's nest by size and shape. What Is the Nest Made From? Is the nest you are looking at made from mud? Sticks? Grass? Moss? Something else? 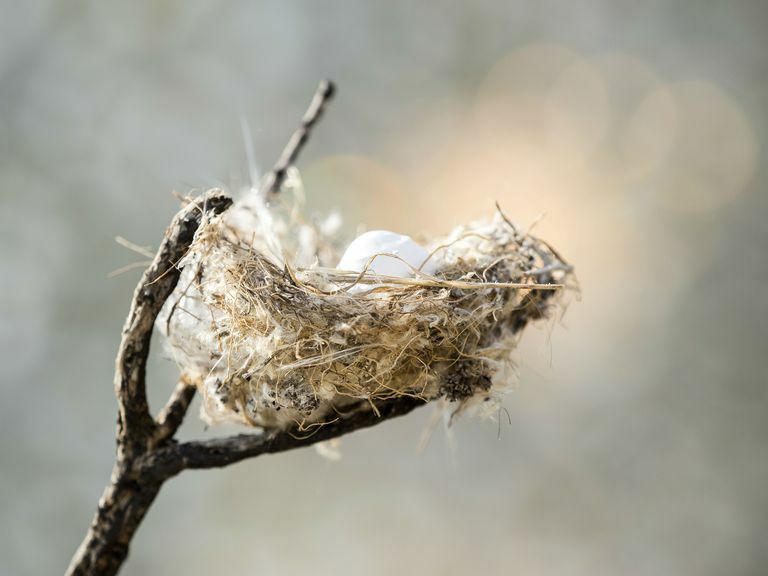 Different bird species use different materials when making their nests, so identifying the primary component used to make the nest can help you identify the bird that made it. The size of the bird eggs can give you a good hint as to the size of the parents (small eggs = small birds while large eggs = larger birds.) The egg shape is another good indicator of the lifestyle of the bird you are trying to identify. Eggs that are pointed on one end may help to keep an egg from rolling away or off of a cliff. Seabirds often have pointy-shaped eggs. Egg color and marking - while variable - may help support your theories on the type of bird using the nest or narrow down your choices between several bird species. For example, the American Robin lays distinct blue eggs that are easily distinguished from those of other birds. Are You Sure It's a Bird? It can be easy to confuse birds' nests with those made by other animals. Squirrels, when they are not nesting in tree cavities, make nests that look very similar to those of a bird. Squirrel nests, or dreys, are made from sticks and leaves and usually rest in the forks of trees.